A picture is said to be worth a thousand words. Well, what about if that same picture was drawn by you with your eyes closed, having been tasked with simply moving a pencil around a blank sheet of A3 paper? 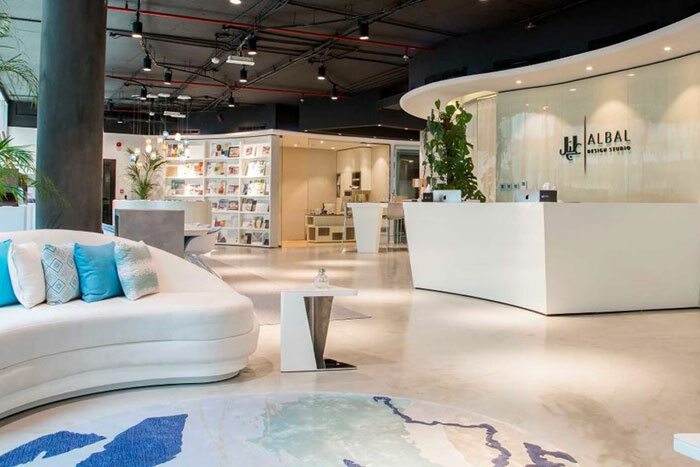 One award-winning Dubai design firm has discovered that this unique way of first getting to know their clients helps them quickly establish each person’s exact design characteristics. By having clients relax their mind and simply glide over the page, the team at ALBAL Design have discovered that they can find a direct route to every client’s most central personality traits, using what they call ‘Visual Literacy’. Asking clients to simply scribble while listening to music, CEO and founder Noura AlGhandi found that the subconscious takes over, meaning that without even being aware of it, those scribbling are actually drawing lines that are visual representations of their approaches to life, design and style. The team interprets those through many different factors, from the pressure put on the pencil, to the angle, positioning and shape of the lines. From there, ALBAL not only try and incorporate those traits into the specific design project, but actually pick out shapes and “stories” that they see in the sketches, and use those actual lines, shapes and patterns in the final design or branding process. Giving INDEX event director Samantha her own Visual Literacy experience, Noura said: “Clients come and, at first, not everyone feels comfortable doing it. Some believe that we are expecting a work of art from their lines. That’s not what we want at all. It’s just an activity that they should relax and enjoy. “They close their eyes and we give them four sheets of paper, play music, and ask that they just let their hand flow. We change the pages based on the flow of what we see. We ask people not to think of anything specific – just close their eyes and let their hand flow, go wherever it wants to on the page. After watching Samantha draw flowing lines across her four pages, Noura explained: “At first, we look at the placement of the artwork. You started centered and towards the right, but as you started to relax you moved more towards the left. Right represents the future, the left is the past. That applies to both the position of the lines and their angle. If you’ve gone very much towards the future, we would look into futuristic art design. If you’re centered – which you are – you are in your comfort zone, you like to tap into the past, but not always. Also, your lines are curved and feminine, and the pressure is soft. Nothing sharp or too strong either. With the penciled results, Noura and her team then assess the shapes and pick-out clearly defined, repeat areas. Explaining other traits found in the scribbled lines, Noura added: “People can show balance – a mix between sharp corners and round corners. Heavy pressure can suggest someone being in favour of bold designs. Check out our video below to see exactly how the process works.